Keep Your Kitchen Drain in Tip-Top Shape! Now that school is out, there’s no telling what the kids might be throwing in the kitchen sink! 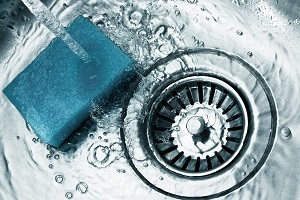 But, a few simple activities will help to keep your drain in tip-top condition. Follow these 5 simple kitchen drain maintenance tips to keep your plumbing catastrophes at bay. # 1 The After-Dinner Rinse – Freshen up your sinks once a week with this easy (and inexpensive) drain rinse. First, dump one half cup of baking soda down the drain. Follow that with a half cup of vinegar. Wait 30 minutes and then chase that with some boiling water. This helps prevent build-up of grease and hard water deposits and eliminates odors! # 3 The Heat Relaxer – Even if you are careful to keep excess grease out of the sink, sometimes the build-up can be too much. If grease is the culprit to a clog, try putting a heating pad around the drain trap (you could also use a hair-dryer if you are patient) until the pipe gets hot. That should loosen things up! # 4 Super Sink Suction – (Note: For this trick, you may want a separate plunger!) If your sink is draining slowly, just fill it halfway with hot water. Place a wet rag into the overflow hole or 2nd drain. This will strengthen the force of the plunger. Open the stopper and plunge away. # 5 Home Visit Check-Up – Although most routine maintenance can be DIY, we also recommend that you invite us out for a check-up once in a while. We’ll check for potential leaks, water pressure issues, drips and other problems that could cost you now and later. A quick visit here and there could help prevent a huge blowout! When you have really tough kitchen drain clogs, or any problems with your home plumbing or garbage disposal, call Hubb Plumbing to get the job done. We are here to help you keep things running smoothly all year round. 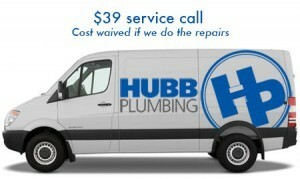 Hubb Plumbing has been cleaning drains in Snellville Ga for over 25 years. We understand that our community deserves great service at fair pricing. And we strive to earn your business and retain it so you won’t ever have to make a call to another plumbing company again.